The combination of the woodcuta print method devised early in the fifteenth centurywith Johannes Gutenberg's revolutionary invention of printing with moveable type resulted in a powerful explosion of information and ideas. For the first time, it was possible to use a mechanized system to print identical copies of books containing both text and images. Featured in A Heavenly Craft are the earliest surviving examples of these books from throughout Western Europe, all printed within the first century after Gutenberg's invention. The contributors bring these rare books to life, exploring the evolution of the technique, composition, and coloration of the woodcut beginning with the earliest publications. Many of the woodcut designs grew out of the tradition of manuscript illumination, in which book illustrations were painstakingly executed by hand. The authors also present the distinguishing features of national style and taste, treating the reader to examples from Germany, Italy, France, Spain, and the Netherlands. In addition, A Heavenly Craft describes the provenance of these volumes, providing an account of how Lessing J. Rosenwald purchased them from the heir to the Lea and Perrins fortune and later donated them to the Library of Congress. These early printed volumes are the predecessors of today's illustrated books. 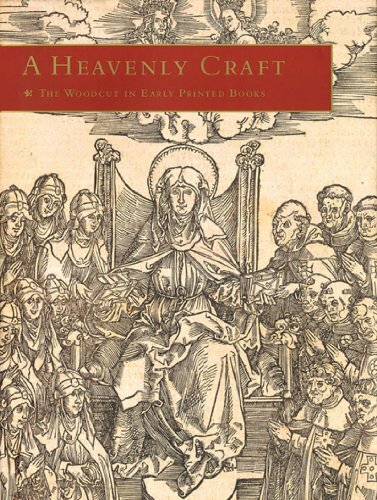 A Heavenly Craft celebrates these origins, making these early publications available to bibliophiles and print lovers. 100 color illustrations. If you have any questions about this product by Brand: George Braziller, contact us by completing and submitting the form below. If you are looking for a specif part number, please include it with your message.